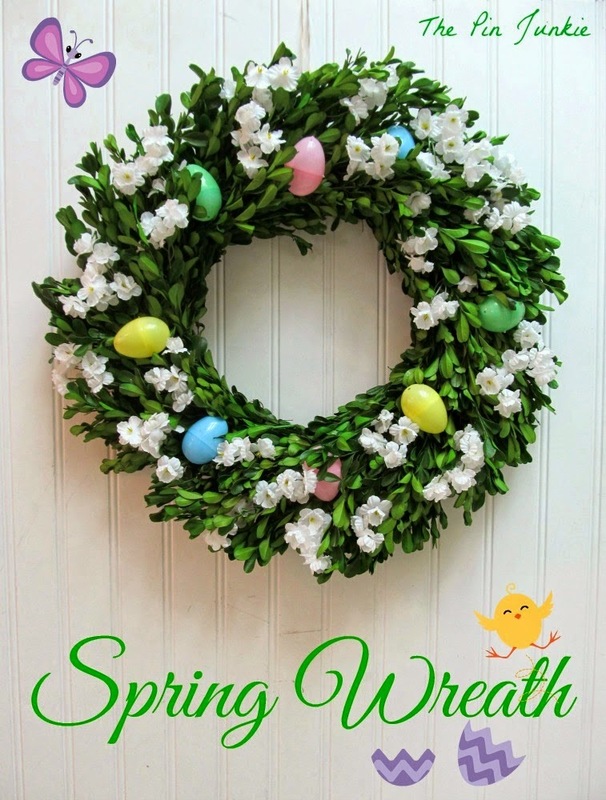 This fresh and pretty Spring Wreath from Bonnie at The Pin Junkie just totally makes me smile! 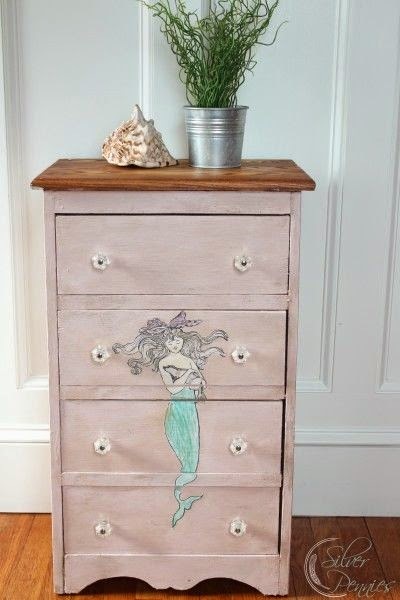 And how sweet is this Mermaid Dresser from Danielle at Silver Pennies! Reeves from The Weathered Door always goes the extra mile to make sure her pieces are beautiful inside and out! 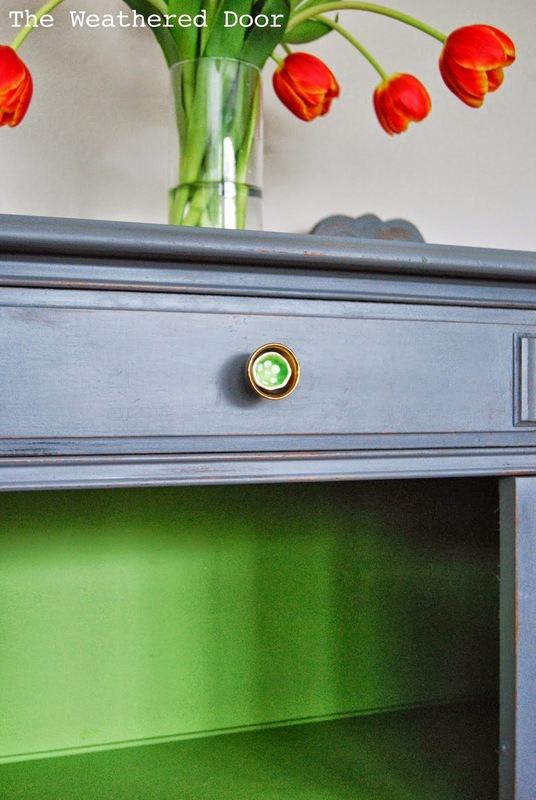 And I love the way the knobs relate to the interior too. 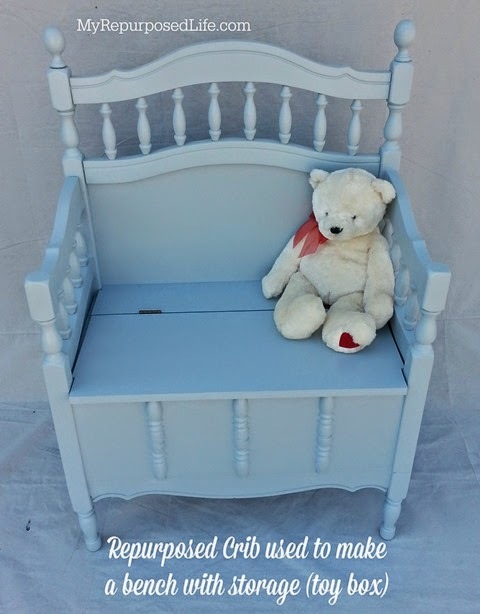 This toy box storage bench from My Repurposed Life is adorable and so functional too. And Gail always shares the best tutorials! 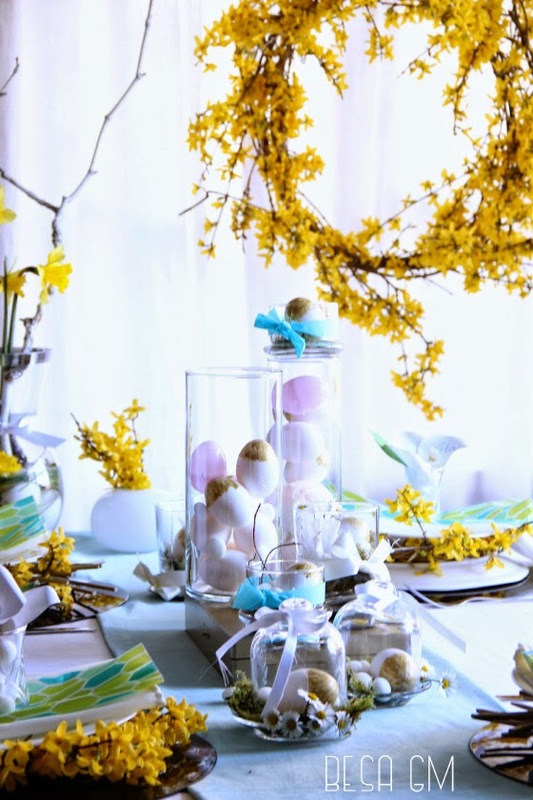 This nature inspired spring tablescape from Besa GM has a light and whimsical feel! 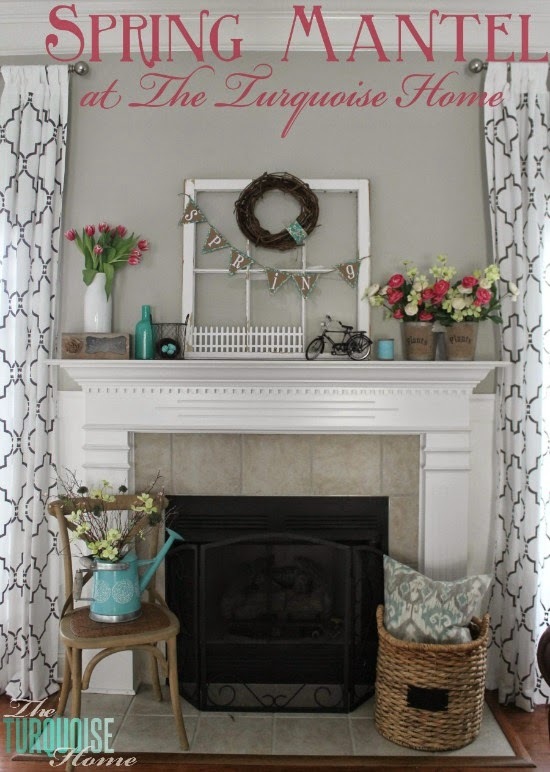 And how pretty is this spring mantel from The Turquoise Home! 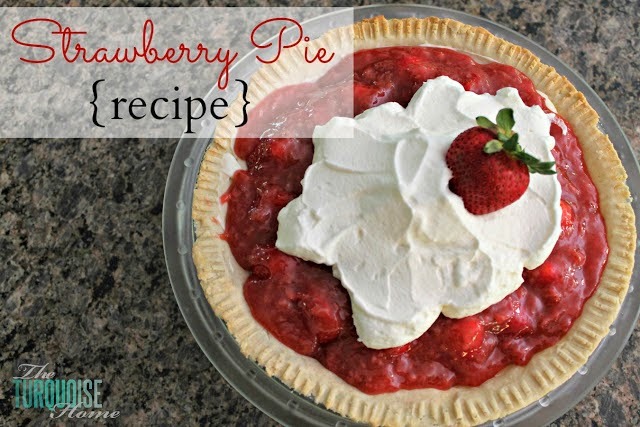 Laura also shared her family-favorite Strawberry Pie recipe. Oh my, I can hardly wait for strawberry season! What a nice surprise! 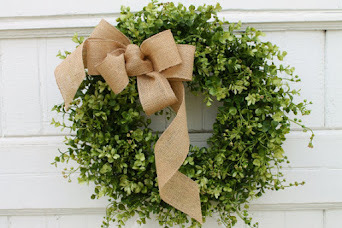 Thank you for featuring my spring wreath! I hope you have a wonderful day! We are also finally getting some Spring-like weather here in the Montreal area…..so looking forward to it. Love all the features this week. Thanks for hosting and have a great week. 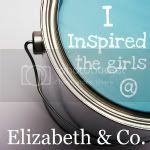 Thanks for sharing the great features and for hosting. Have a good week! As always, thanks for the inspiration! On Tuesdays and everyday! This has got to be my favorite time of the year with all of the beautiful Spring posts, the days becoming longer and sunshine! Thank you Sharon for another wonderful party. I just love all the colors in this week's features! Even the inside of the buffet is dreamy! Thanks for hosting! So glad to have something to link up this week. Thanks for being a great hostess. I'm so happy for spring. :) Thanks so much for hosting. 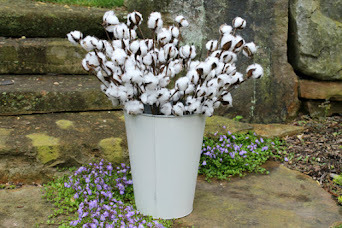 Thanks so much Sahron for featuring my spring tablescape, and great thanks for hosting the link party. Have a great week ahead. great features! i love danielle's fun dresser! PS - I'm getting an error when I try to link up. I'll come back and try again later, but just wanted to let you know! I feel so honored to be among such great features. Thanks so much Sharon for including my crib toy box! 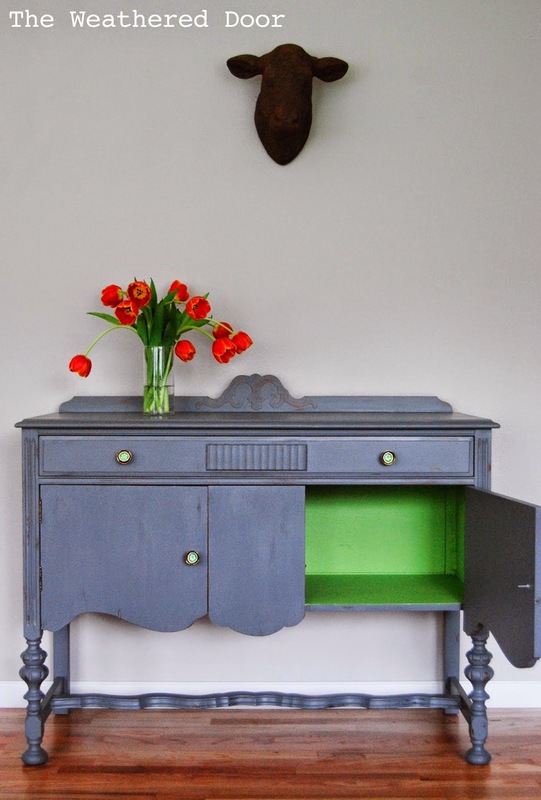 The cabinet from the Weathered Door really caught my eye! Hope you're enjoying some warmer weather, Sharon. We're supposed to get into the 60's the rest of the week. Even if it rains...it means it's spring!!! Thanks so much for the party Sharon!!! Hope you are enjoying some beautiful spring weather!!! Thank you for the party -- looking forward to visiting everyone.